The number of dental emergencies treated in the United States has almost doubled since 2000. Most of us who have experienced tooth pain know it's one of the most uncomfortable feelings out there. When a dental emergency occurs, you don't need to panic. In most cases, a dental emergency isn't as serious as other types of medical emergencies. Most of the time urgent dental care won't require you to make a trip to an emergency room. Dental emergencies can involve anything from a knocked out tooth to an abscess, and the way you should treat each problem is quite different. Here's a list of a few common dental emergencies and the steps that should be taken to treat each situation. Typically, when you lose a tooth (regardless if it was knocked out or just fell out), you're going to need a dental implant. However, there are a few cases where you might be able to save a tooth if the root is still attached. It is important to not pick up the tooth by the root and place it back in the position it was dislodged from. You want to make sure that the tooth is positioned the right direction first. The next step is to contact your dentist and setup an appointment right away. Even with the perfect execution of these steps, you'll most likely still need a root canal. When your mouth is bleeding, the action steps really depend on why there's blood. If you see blood after you're completed brushing or flossing, then it's probably not serious. It's most likely gingivitis and you can address this with your dental provider at your next visit. No emergency care is necessary. It's very rare for your gums to bleed due to cuts or abrasions. If you experience a cut that is non-dental related and your mouth is bleeding, you should promptly visit an emergency room. If you are hit in the mouth and experience bleeding, its typically one of two things - you have cut your lip or knocked a tooth loose. Neither of these situations require an emergency dental visit, but you might want to use a cold compress to reduce the pain and swelling. In situations where your mouth is bleeding a few hours after having dental surgery, you need to promptly return to the dental provider that performed the surgery right away. An abscess occurs when your tooth or gum is infected. It usually is visible in the form of a yellow, clear, or red bubble, almost like a pimple on your gums. By the time the infection becomes an abscess, it's likely that you will need a root canal or extraction and you’re probably experiencing a substantial amount of pain. There are a large number of health complications that can arise from the infection spreading to other parts of your body. While the abscess might look like a pimple, it's not and you definitely shouldn't try to pop it. It is important to make an emergency dental appointment. While you are waiting for emergency dental care, rinsing your mouth with warm salt water can help ease your pain. It is possible to break or crack a tooth in a variety of different ways, with the most common causes being biting something hard or being struck in the mouth. If you have chipped your tooth, then there's a good chance that you have an exposed nerve and are experiencing significant pain. An exposed nerve will be sensitive to any change in temperature. It’s important to schedule an appointment as soon as possible. The longer the nerve is exposed, the more pain you will experience and the more likely you will require a root canal. Rinse your mouth with warm salt water to help reduce the swelling and pain, while cleaning out the area. If you have pieces of your tooth, then you should also rinse those off. When you lose a crown, you need to make an emergency dental appointment. It is important to bring the crown with you to your appointment. You can use clove oil to help ease any pain or discomfort to your gums. DO NOT use super glue or other sticky substances to glue the crown back on. If you are experiencing a general toothache that you can't attribute to any of these reasons, it might be a cavity that requires a root canal. As we mentioned earlier, warm salt water can help reduce the pain. If you let your toothache linger long enough without treatment, you will likely acquire an abscess or a piece of your tooth might chip off. You want to visit the dentist as soon as possible and not be like the 31.6 percent of Americans who leave their dental problems untreated. 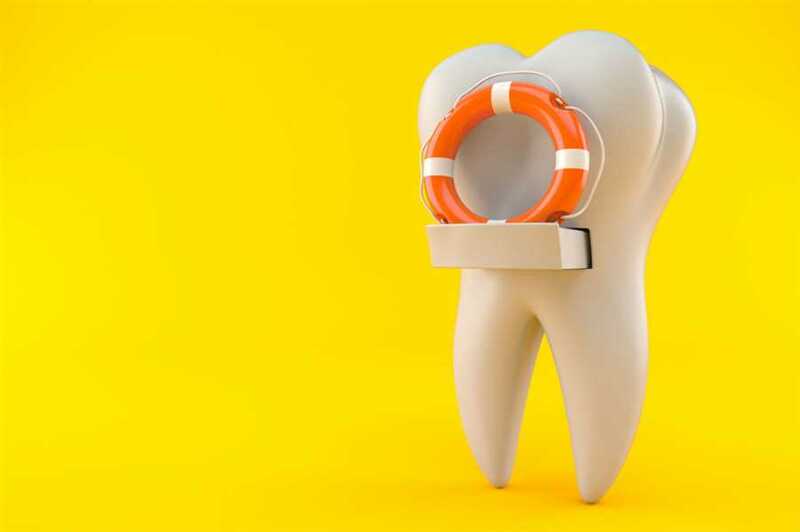 Sometimes a dental emergency is unavoidable, but you should take precautions against the situations that are preventable. If you are playing any contact sport, you should always wear a mouthguard. They will protect you from chipping or knocking out a tooth, while also protecting you from abrasions/cuts in the oral region. Some people follow the old brush and floss advice, as the only way to prevent tooth decay and gingivitis. Other helpful suggestions include not chewing ice and restricting the use of your teeth to cut or rip things. If you are experiencing any type of dental emergency, please contact Bollinger Canyon Dental promptly to schedule an appointment.